The Big Blue Ballers Men’s Pro Singles started in 2003, featuring 13 sensational events between 20003-2016. 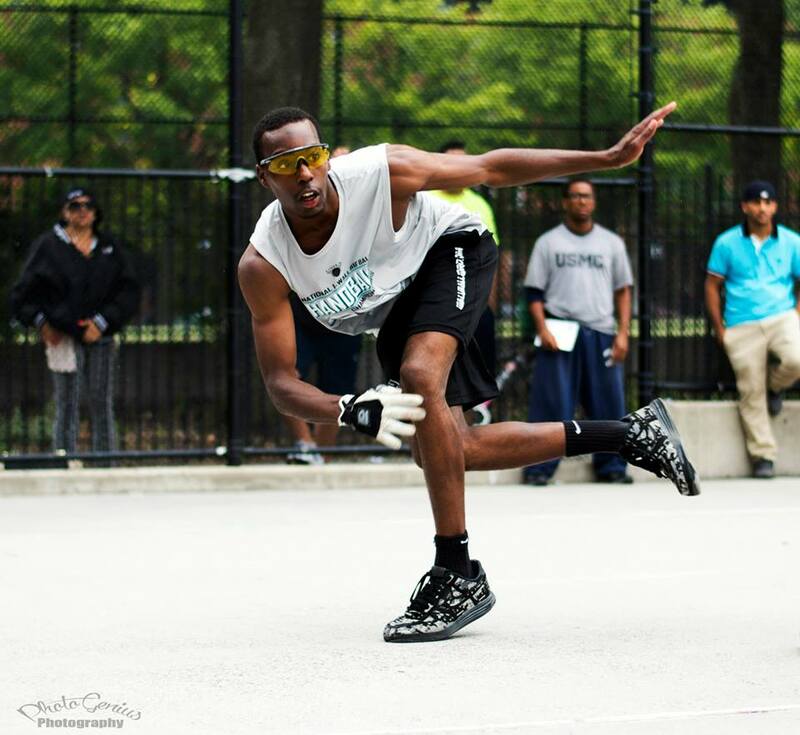 2017’s Big Blue Baller’s Men’s Pro Singles would be no different, as the game’s top 1-Wall Big Ball Pros were on hand to compete for one of New York City’s most coveted titles. World 1-Wall Big Ball #1 Timbo Gonzalez entered the event as the heavy favorite, having won virtually every match in which he has played this season in 1-Wall, 3-Wall, 4-Wall, and even England’s Eton Fives. 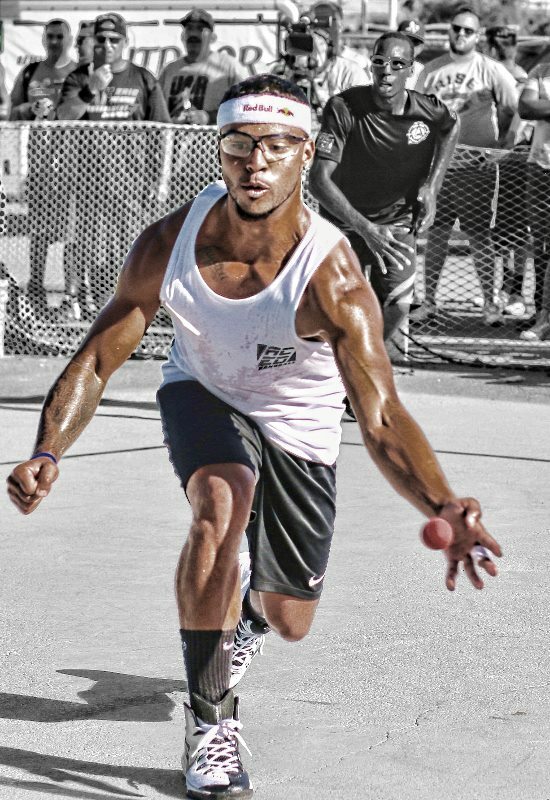 Gonzalez was joined in the star-studded Big Blue Ballers field by perennial contenders and rivals Tywan Cook, Gio Vasquez, Tavo, Jhon Bermudez, Alex Mendez, and Kadeem Bush, as well as rising superstar and 2016 JR WPH NYC 1WallBall Shootout champion Chullo Martinez. 108 of the 116 men’s open participants were eliminated on the event’s first day, leaving the final eight to return two days later to determine the champion. Top-seeded Timbo Gonzalez cruised to the final under the lights on day two, defeating Rick Montanez in the quarterfinals and top five 1-Wall Big Ball star Tavo in the semifinals. “My shoulder has been bothering me from playing Small Ball but I’m still pulling though,” stated Gonzalez. With a packed gallery on both sides of the sidelines and behind the back line, Timbo and KB staged a classic under the lights at St. John’s Park. The one game final to 21 was close throughout, as the underdog showed no signs of nerves or intimidation against the game’s top star. KB served for the match at 20-19 and called a backswing block on the 13th shot of the rally, infuriating Timbo. “If he didn’t move the ball was going to hit him,” barked Gonzalez. “There is no way you can call that a block!” A five-minute argument ensued, ultimately requiring tournament director and retired NYPD police office Veronica Figueroa to restore order. A KB error and a Timbo point tied the game at 20 and a serve for the title. After six shots, Timbo dove and directed a re kill attempt down the left with his left hand, but the long arms of KB swooped into the front court and drilled a crosscourt power pass to the right, just out of Timbo’s reach, driving the crowd and 1-Wall legend Rookie Wright into a frenzy. Timbo was displeased with another disputed block call on KB’s serve at 20-20, leading to a replay. On KB’s third serve at 20 to win the match, the power-hitting Brooklyn native served right, hit an overhand drive at Timbo’s feet and crushed an inside-out fly kill just inside the right sideline to win the title. 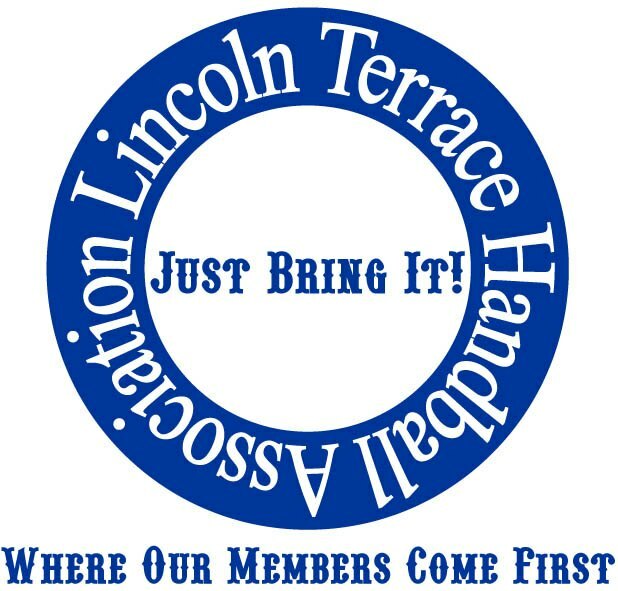 Thank you to the Lincoln Terrace Handball Association and WPH ambassador Veronica Figueroa for running an outstanding event. Log onto wphlive.tv, Like the World Players of Handball on Facebook, or follow the WPH on Twitter @dfwph and @wphlive for all of the handball news from on and off the court! The World Players of Handball is a non-profit foundation aiming to grow the game of handball through innovation and inspiring the next generation of players through junior clinics with Certified WPH Coaches, junior tournaments and the Race 4 Eight and WPH Outdoor tours.